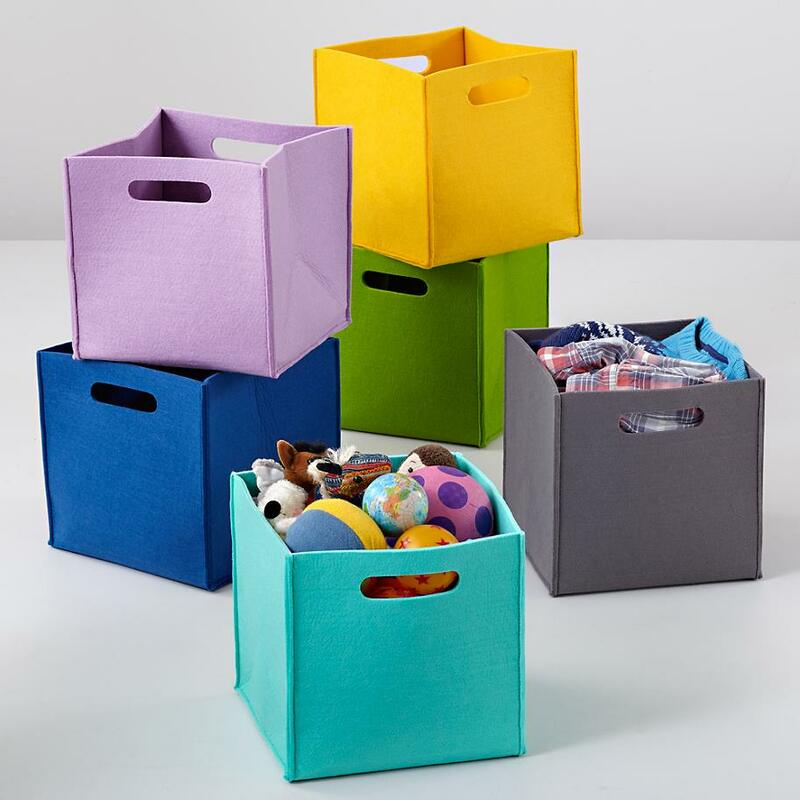 Let’s begin with items that will help you stash and store! 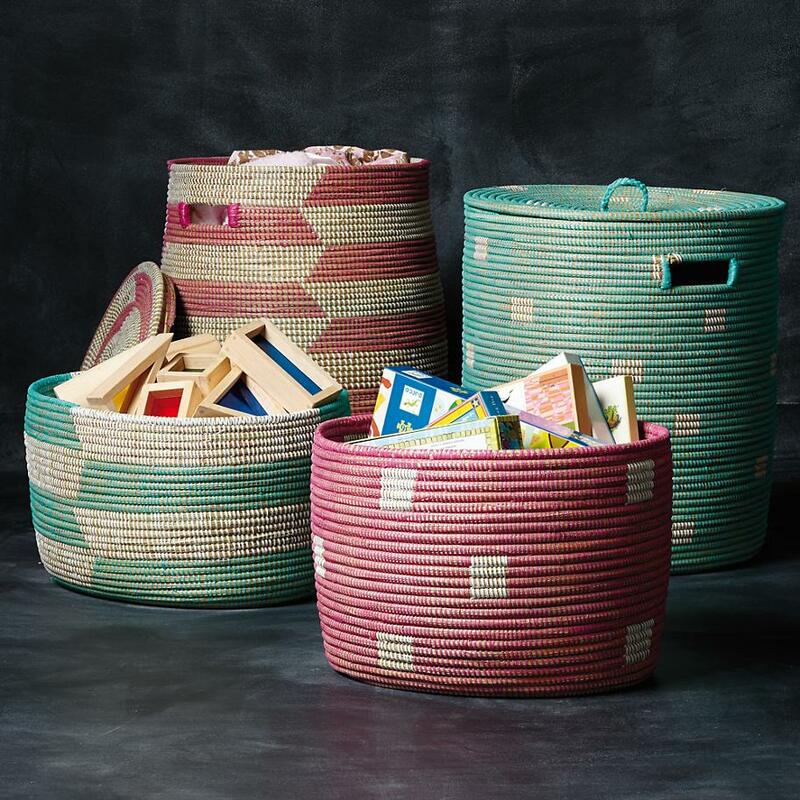 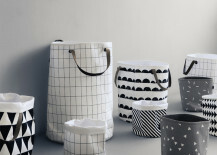 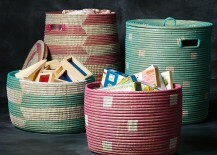 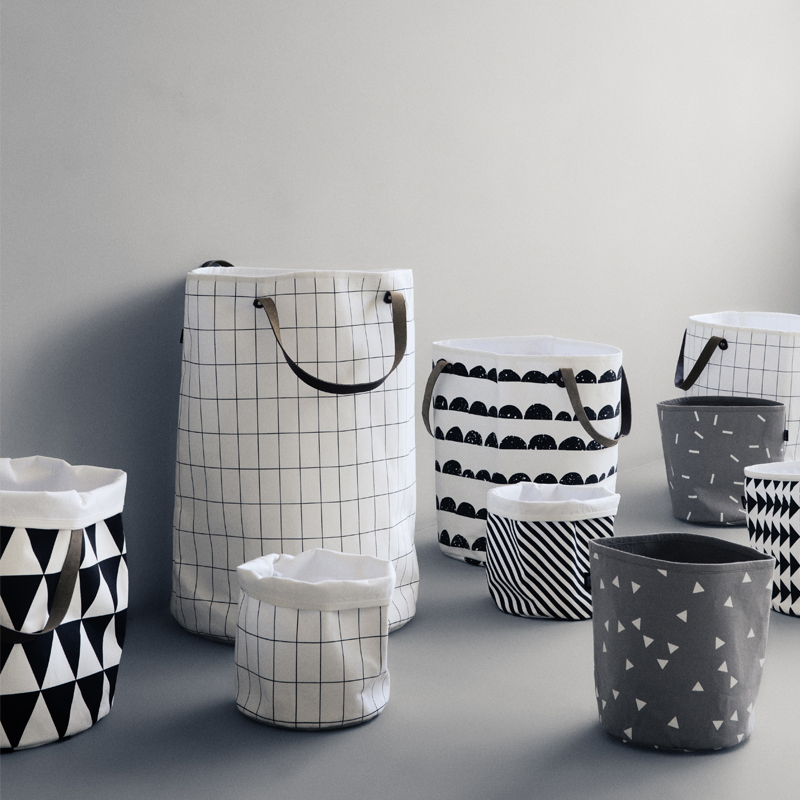 These Charming Baskets from The Land of Nod resemble the baskets used by snake charmers, hence their fabulous name! 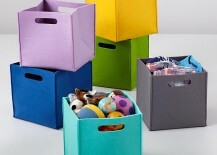 But they’re perfect for stashing toys, blankets and other items you’d rather keep out of sight. 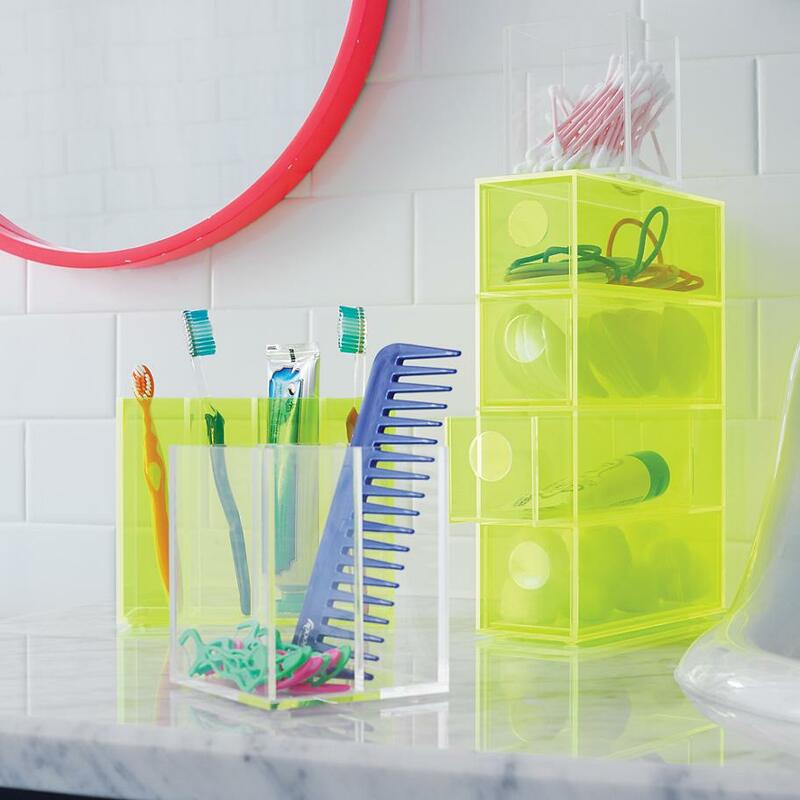 It’s hard not to love these acrylic display containers from The Land of Nod. 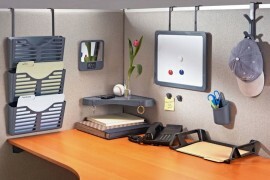 They make it easy to see what you’re looking for while handily containing objects at the same time. 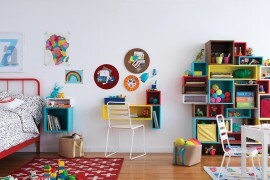 Plus, that fluorescent yellow hue is hard to ignore (in the best possible way)! 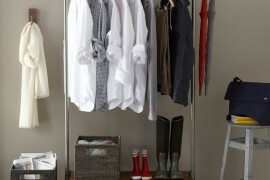 Last but not least, we head to the wall for a convenient use of vertical space! 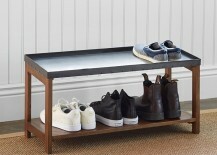 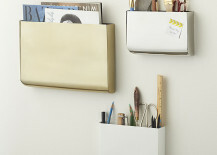 CB2’s Revere Wall-Mounted Storage frees up your desk top by utilizing the power of vertical storage. 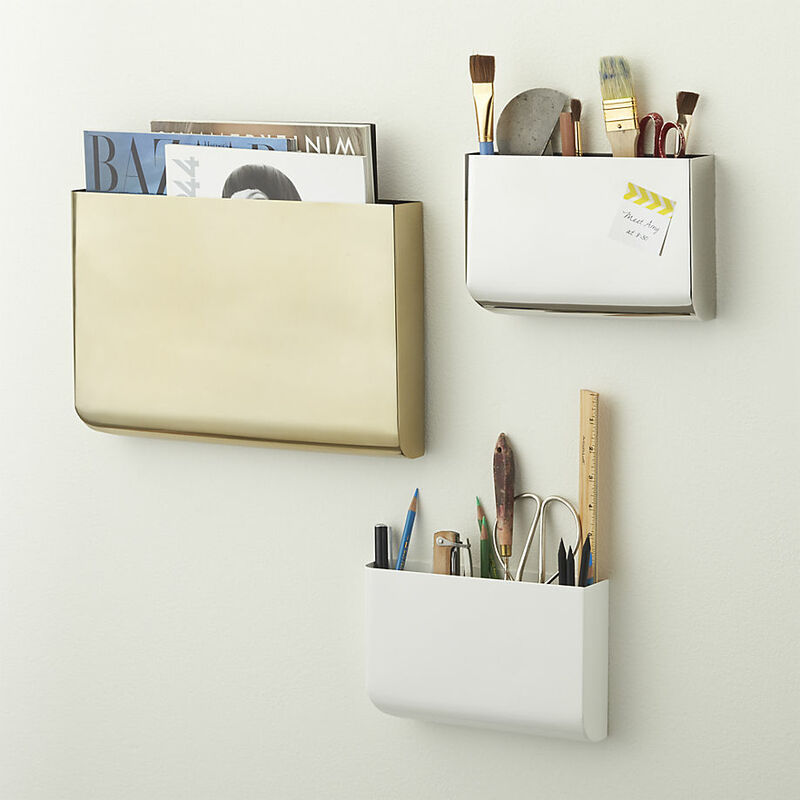 Why let piles of magazines, mail and supplies clutter your workspace when you can make these items easily accessible (and surrounded by sleek wall pockets with silver, gold or matte white finishes)? 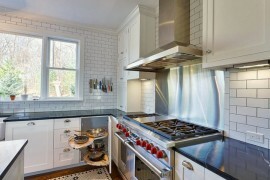 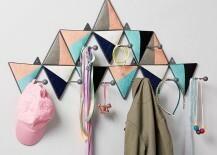 Oh, the power of an eye-catching wall hook system! 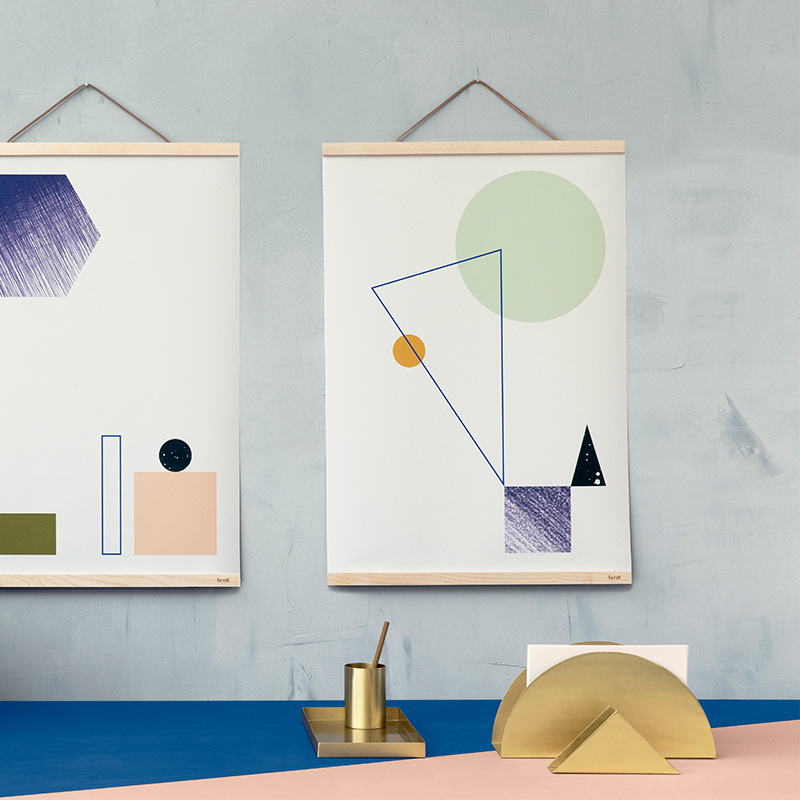 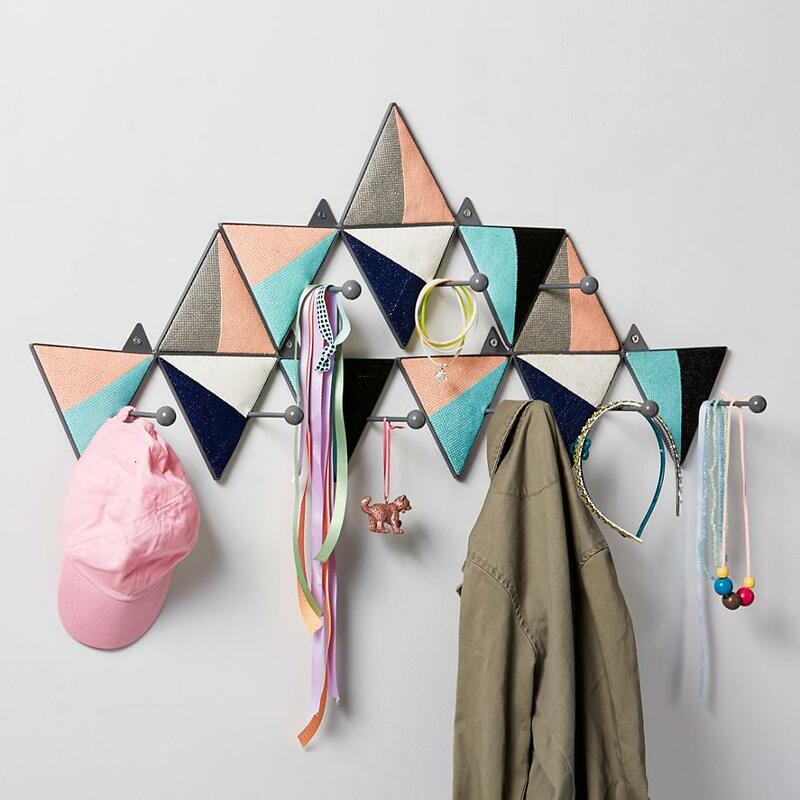 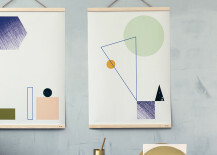 The Equilateral Wall Hook from The Land of Nod does not disappoint. 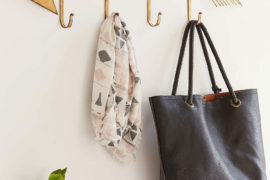 Each set comes with three hooks, but as you can see below, it never hurts to combine a few sets for a unique wall display! 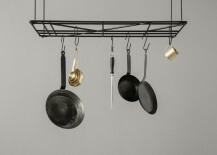 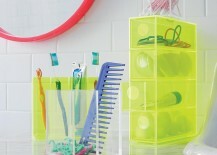 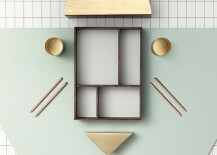 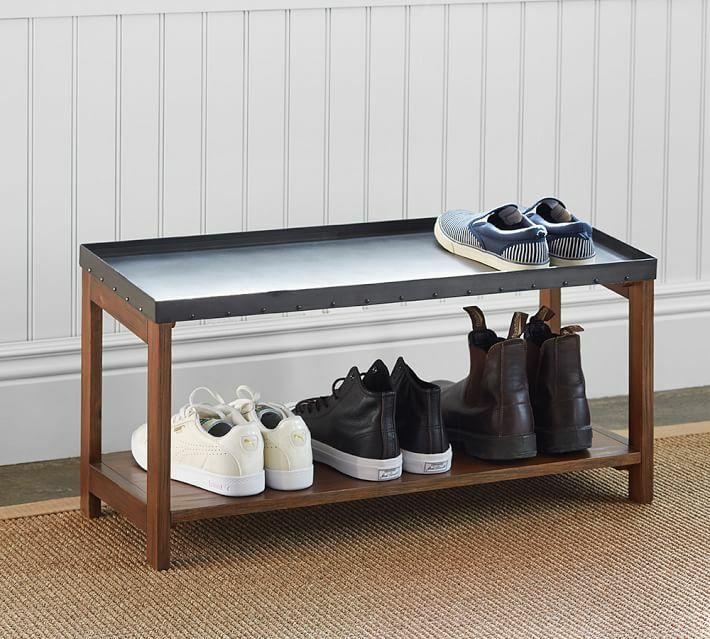 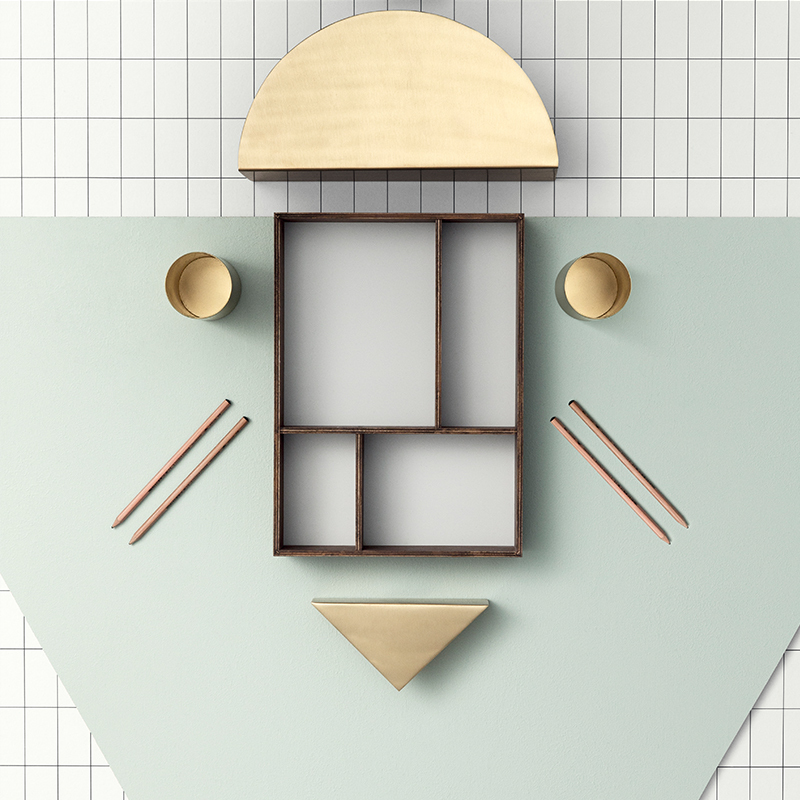 ferm LIVING’s Square Rack can be used to organize a variety of items, from pots and pans to office supplies. 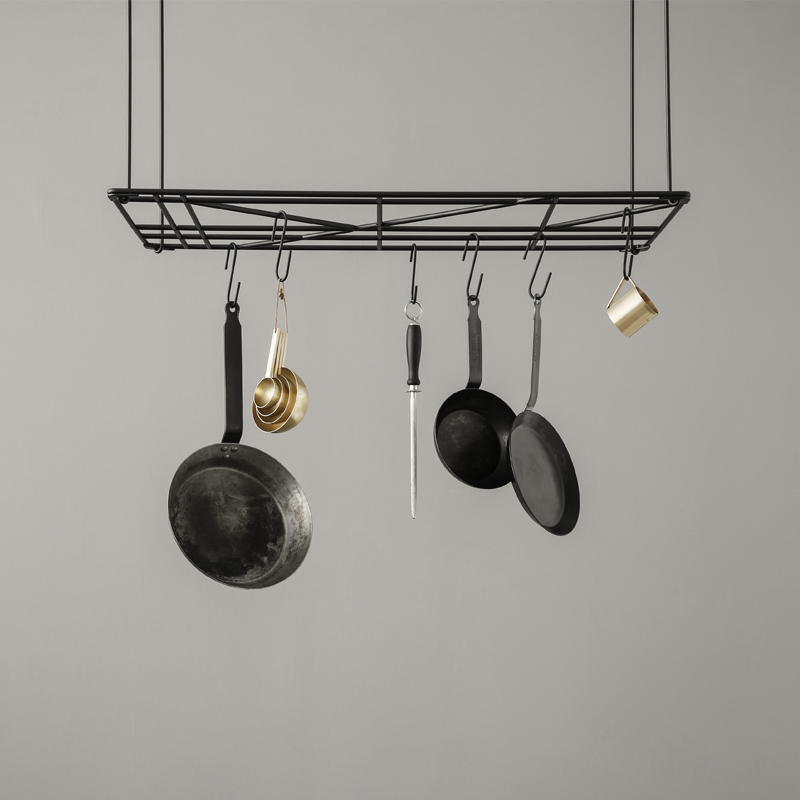 A selection of hanger lengths and 8 hooks are included, making it possible for you to customize the function of this piece for your space.